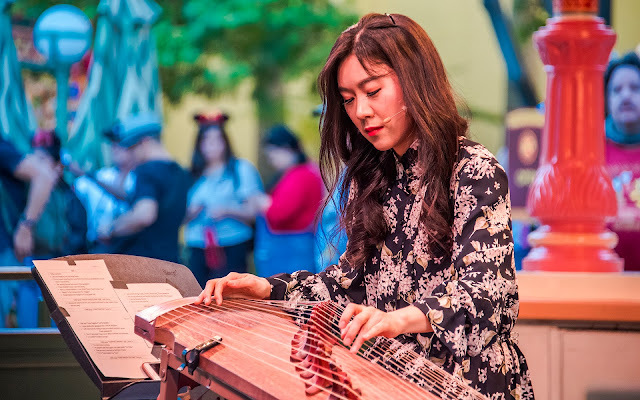 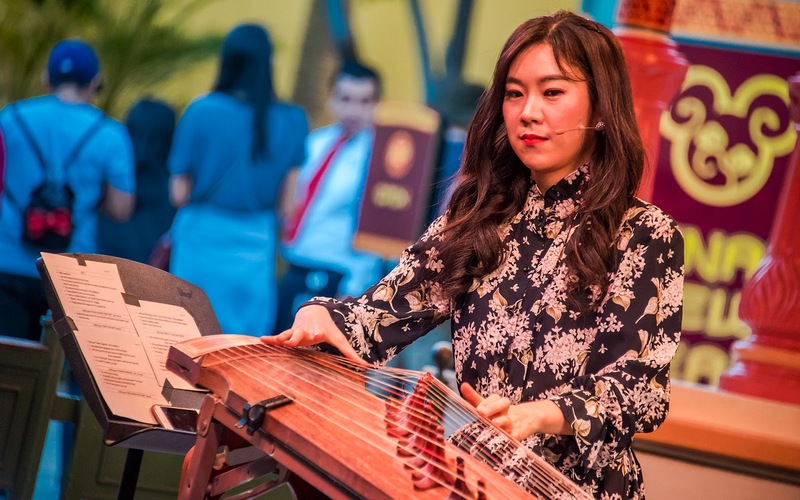 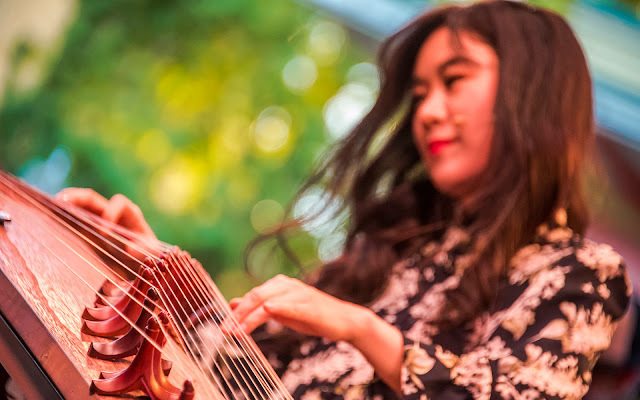 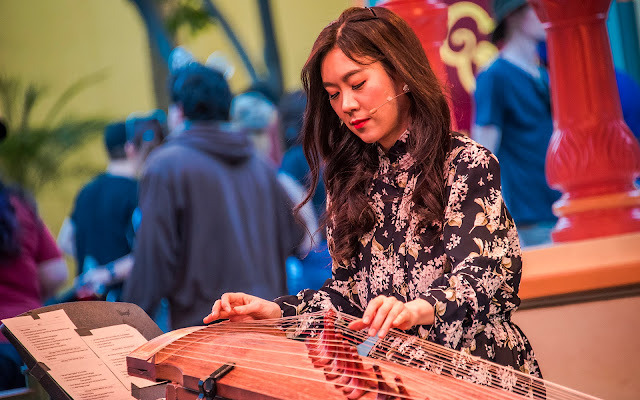 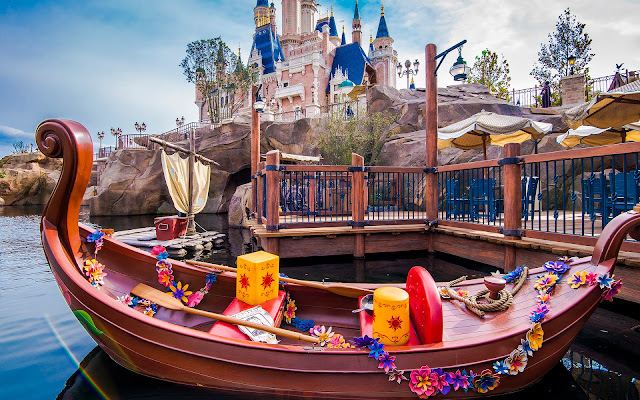 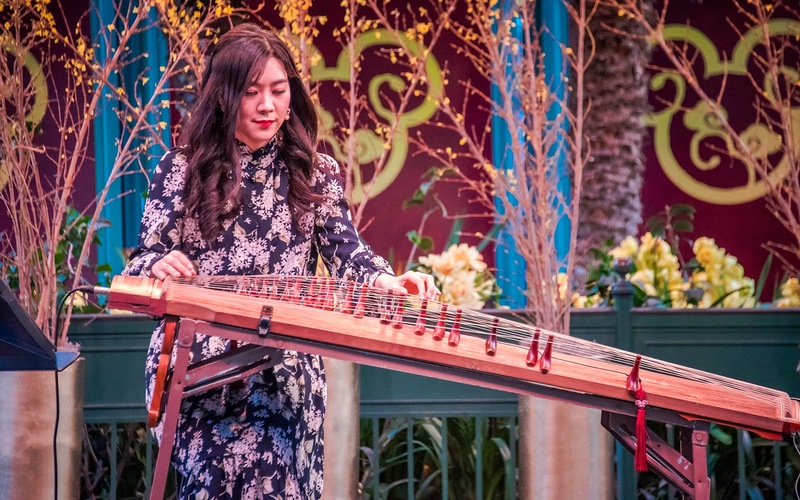 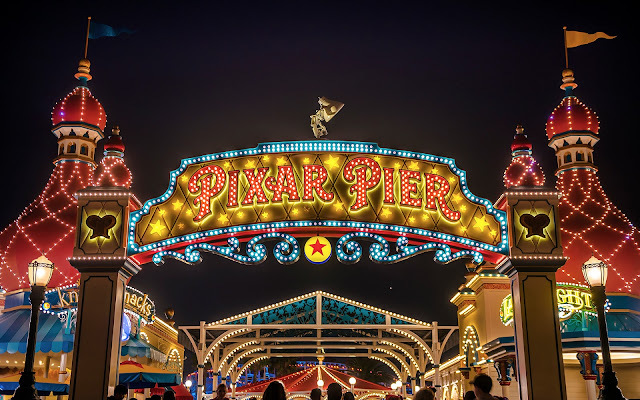 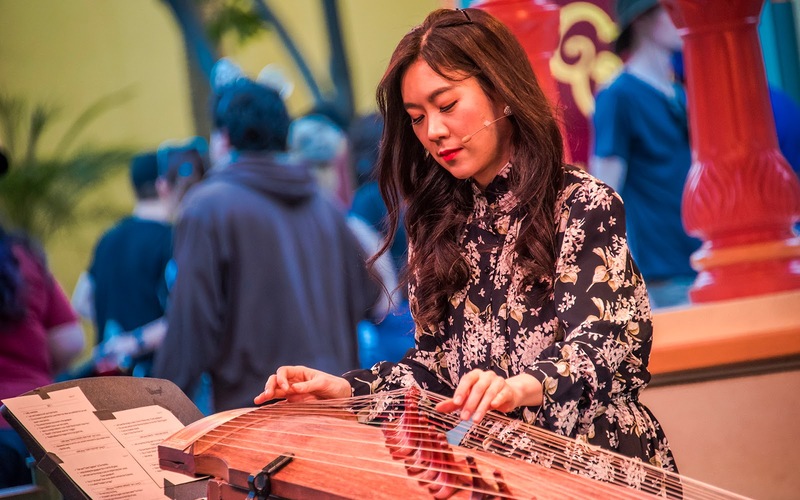 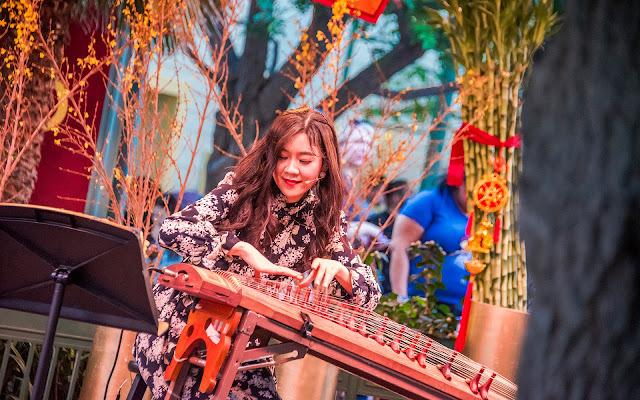 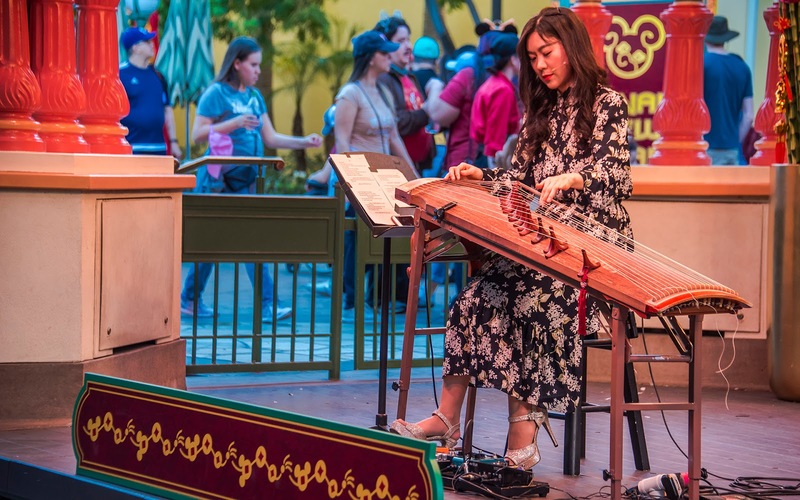 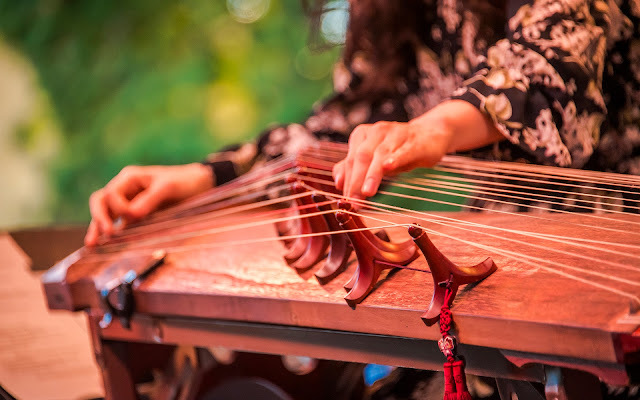 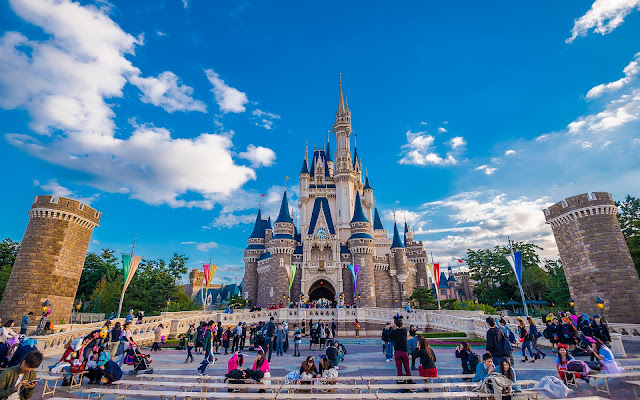 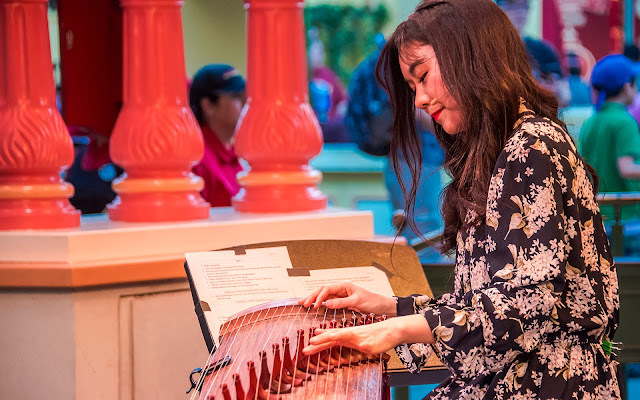 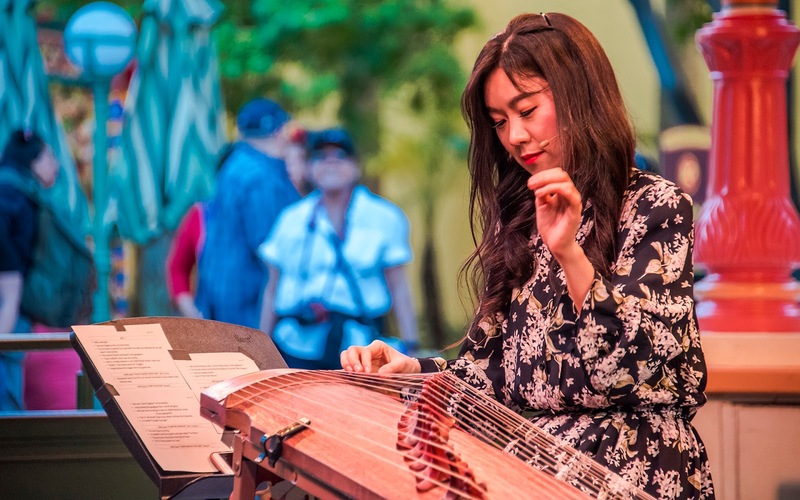 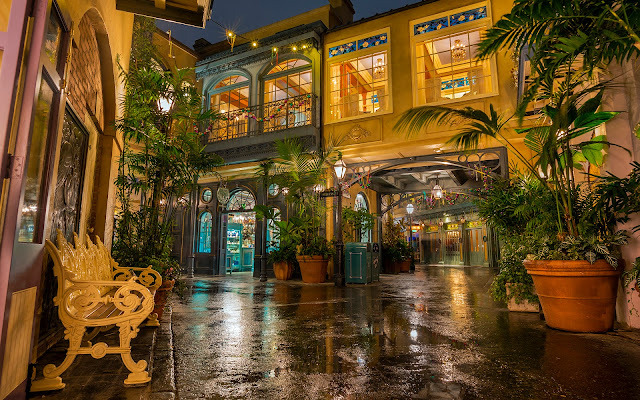 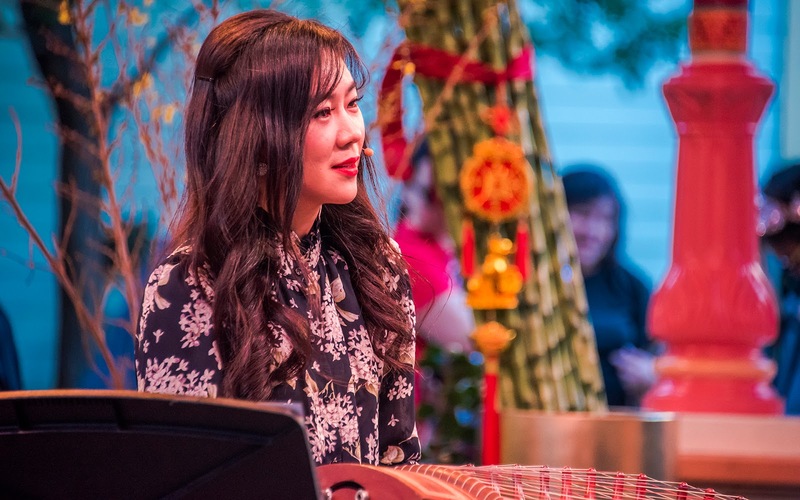 One of the two artists slated as entertainment at the Paradise Garden Bandstand during this year's Lunar New Year celebration at Disney California Adventure is Luna Lee, a Korean gayageum musician who brings a modern twist to this centuries-old traditional Korean stringed instrument. 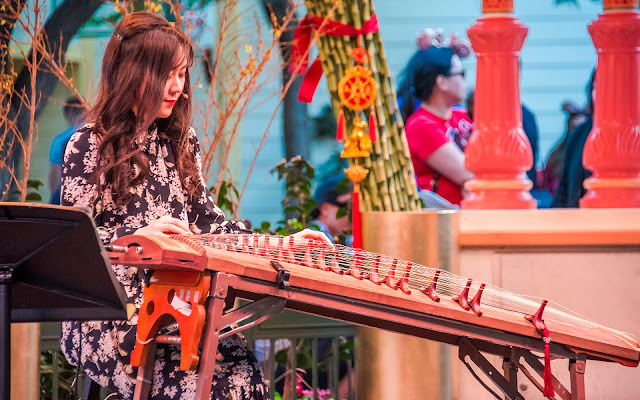 The gayageum is a 12-string instrument played horizontally, related to similar instruments in Asian culture such as the Chinese guzheng, the Japanese koto, the Mongolian yatga, and the Vietnamese đàn tranh. If you've heard traditional Korean music of the plucked variety, you may be familiar with the sound. 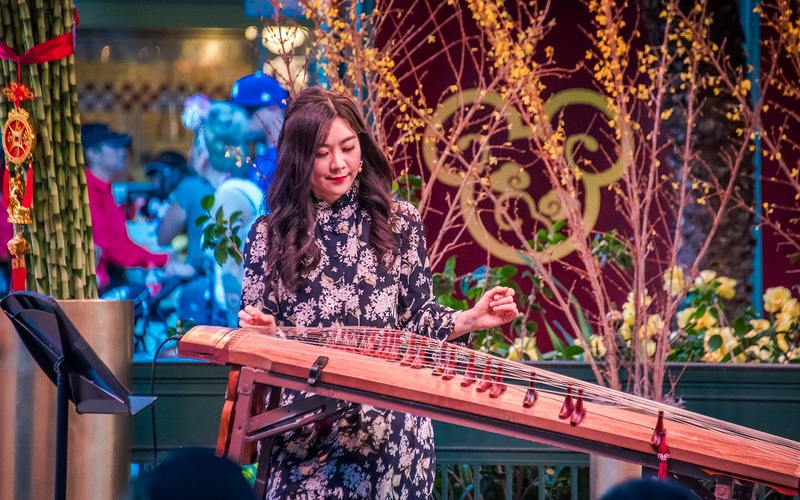 But Luna has given a different feel to her playing of the gaygeum--one of more contemporary tunes, especially from the rock genre. She's covered songs from The Beatles, Jimi Hendrix, and AC/DC, to name a few, and she's gained a nice following on YouTube thanks to her unique music and charming disposition. 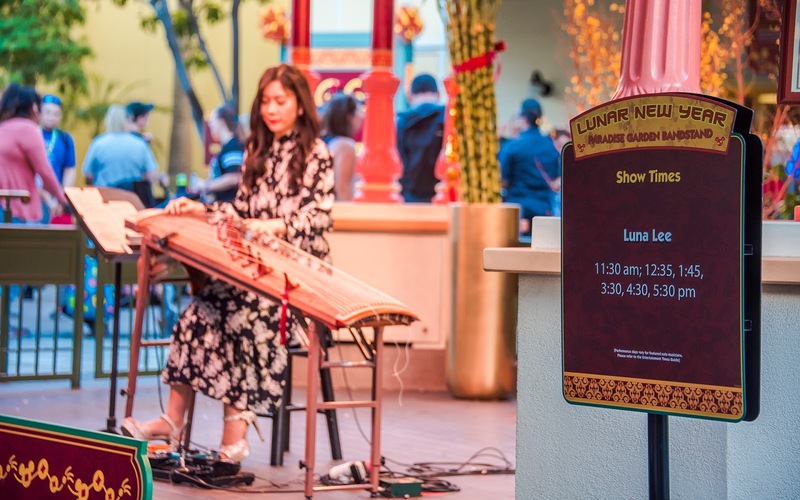 Here are a few photos of Lena in performance this past Sunday. Her set featured a variety of classic rock songs, plus a familiar Disney tune. 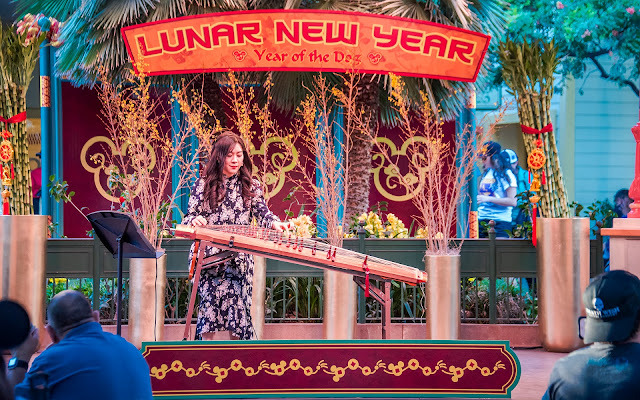 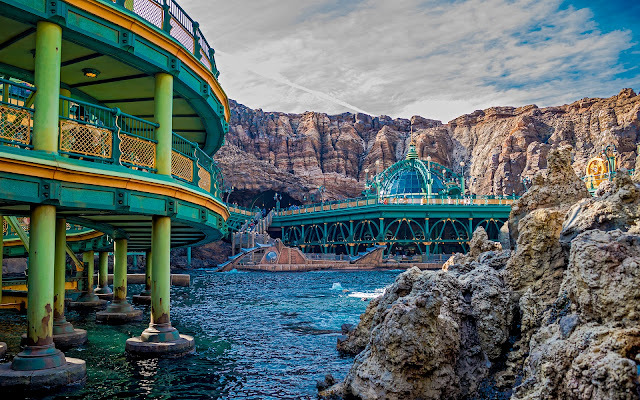 If you visit California Adventure this year during the Lunar New Year celebration, be sure to check her out. 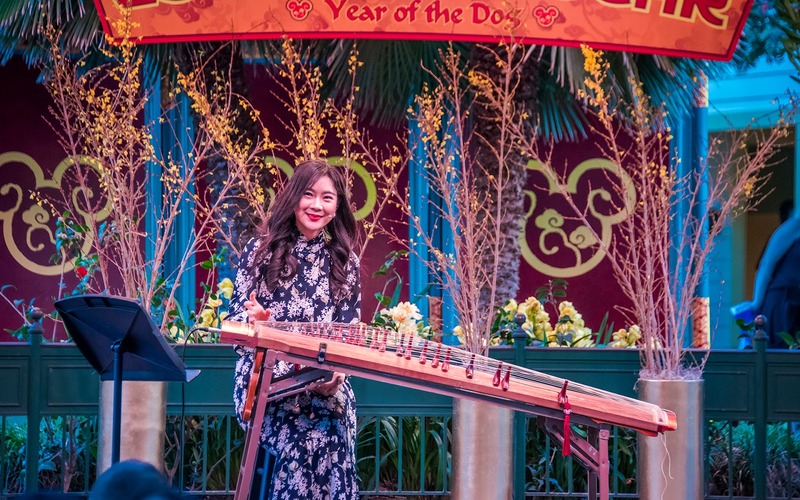 She plays Saturdays, Sundays, Tuesdays, Wednesdays, and Thursdays!